Approx. 8 Acres of Gardens and 180 Acres of Communal Parkland. 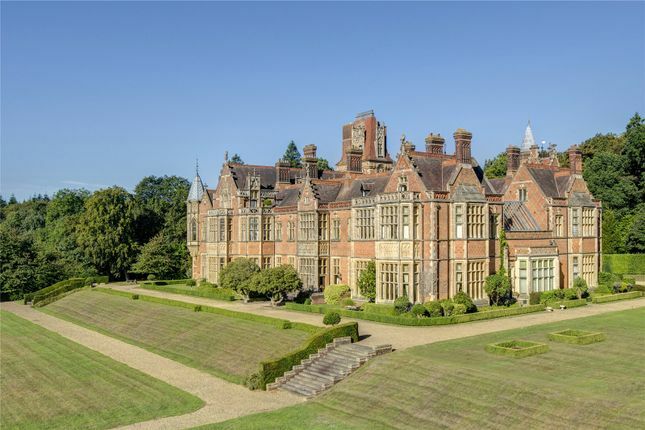 Wyfold Court is a magnificent Grade II Listed Gothic mansion built between 1872 and 1873. Designed by the architect George Somers Clarke, a pupil of Sir Charles Barry and renowned for his design of the Palace of Westminster. In the late 1990's pj Livesey and English Heritage, converted the mansion in to eleven spectacular apartments, with No2 occupying a significant corner of the building. An ornamental carriage entrance with timber doors leads the way into a communal reception hall. The inner hall, with chequerboard floor tiles and marble pillars is said to be a copy of a similar corridor found at the House of Commons. Resplendent with period grandeur the feeling is enhanced by an impressive 43 ft high grand stair case, crafted in teak with beautiful stained glass windows featuring past Kings and Queens of England. The apartment offers over 5371 sq feet of accommodation and is arranged over three floors. Access to the apartment is from the ground floor where the entrance hall provides access to principle reception rooms and kitchen/breakfast room all of which have breath-taking views over formal gardens and surrounding countryside. There is much to be admired in the drawing room; the 20 ft high ceiling, ornately decorated with painted plaster mouldings, an outstanding carved timber fireplace housing a wood-burning stove and full height windows providing wonderful views and a door to a private area of garden. There is a well-proportioned bedroom suite, with an impressive original carved stone fireplace and a cloakroom located on the ground floor. From the hallway, stairs lead up to a mezzanine comprising a sitting area and a fully fitted study and a central staircase that turns providing access to the bedroom accommodation. The first floor offers two further bedrooms each with en-suite facilities and a second staircase leading up to the second floor where there is a double bedroom with en-suite bathroom and a door out to a balcony with breathtaking, far reaching views. A private road winds its way through parkland leading to a secured entry with electric bollards which allow access to the sweeping gravel drive. The formal landscaped gardens provide an awe-inspiring backdrop to the house whilst the magnificent and uninterrupted views stretch across the parkland - a natural haven for wildlife. Two communal tennis courts are situated within the grounds for residents to use and enjoy. There is secure underground parking with allocated parking for two cars and a large secure storage room. Property descriptions and related information displayed on this page, with the exclusion of Running Costs data, are marketing materials provided by Hamptons International - Henley-on-Thames Sales, and do not constitute property particulars. 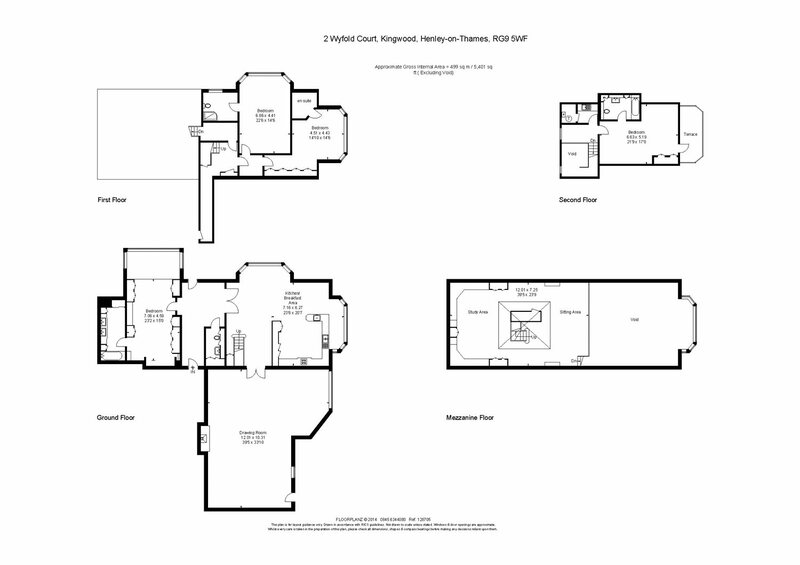 Please contact Hamptons International - Henley-on-Thames Sales for full details and further information. The Running Costs data displayed on this page are provided by PrimeLocation to give an indication of potential running costs based on various data sources. PrimeLocation does not warrant or accept any responsibility for the accuracy or completeness of the property descriptions, related information or Running Costs data provided here.